The Sunday Series Becomes A Podcast! Thirty days from today I turn 50 years of age and reach the halftime of my life, (I’m living to 100), and today I am offering another way to give back. To me this is simply another layer of giving, another way to share your story with the world, another way for me to share one of my gifts, storytelling. 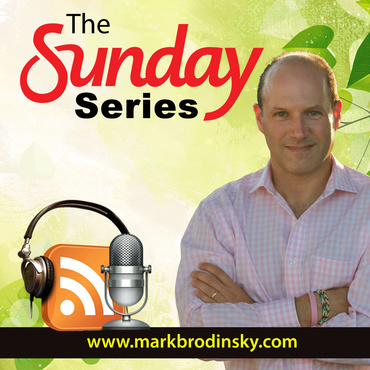 Beginning today, The Sunday Series, with Mark Brodinsky is not just a blog, it’s a podcast!! But there’s a twist… The Sunday Series is starting back where we began, from the beginning, with the very first three Sunday Series: Ian’s Story (Ian Scher), Soul Purpose (Traci Kodeck) and The Business of Life (Jodi Hume). The goal is to post a Sunday Series each week, not just on this blog (the new ones) but also give the reader/listener the opportunity to play catch-up by listening to one of the original Sunday Series, one a week, if not more. As soon as iTunes does its behind-the-scenes work the podcast, (right now on podbean), will become an iTunes podcast. Everyone has a story. There will never be a shortage of stories to tell, nor people who live them… the podcast is just another way to share this human experience and to touch other lives and to prove that we can all overcome almost any circumstance life places in our path, or we can all live up to our potential, reach our dreams and do what we were born to do. Join the Tribe. Enter your name and e-mail on the blog and get posts from It’s Just About… Life & The Sunday Series sent directly to your e-mail inbox. It’s free and spam-free!